What Does Code P0129 Mean? When a P0129 code is stored in your OBD-II equipped vehicle, it means that the powertrain control module (PCM) has detected a low barometric pressure reading from the barometric pressure sensor (BPS) or the manifold air pressure sensor (MAP). The barometric pressure sensor is designed to enable the PCM to monitor variations in atmospheric pressure. Atmospheric pressure is directly related to the particular degree of altitude, as it applies to your vehicle. This information is received and used by the PCM to help determine strategy for fuel delivery and ignition timing. The barometric pressure sensor is typically supplied with a reference voltage signal, a battery ground, and one (or more) output signal circuit/s. As changes in atmospheric pressure occur, BPS resistance levels react accordingly. Changing resistance in the BPS creates variations in sensor output voltage to the PCM. These fluctuating voltage signals are not only used by the PCM to map fuel delivery and ignition timing strategy but also compared to programmed specifications. If voltage signals fail to comply with the programmed specifications, during a set period of time under certain circumstances, a P0129 will be stored and a service engine soon lamp may be illuminated. Because almost every automaker uses its own system of monitoring barometric pressure, this type of code can be confusing. Here is a brief explanation of some of the most common designs. Keep in mind that this is far from being an exhaustive list. Consult your vehicle service manual, Mitchell On Demand, or All Data to determine the exact BPS design of your vehicle. 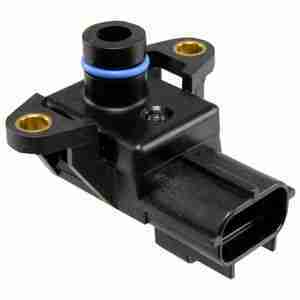 Some manufacturers use a BPS that is totally separate from the MAP sensor. It is usually mounted on the firewall or inner fender and has a vacuum hose connected to it. The degree of engine intake vacuum is gathered by the sensor and input to the PCM, where it is compared with the input signal from the MAP sensor, intake air temperature, and other factors to determine actual altitude (elevation above sea level). If the BPS input signal varies by more than a set limit, a P0129 will be stored. Other automakers choose to integrate the BPS with the MAP sensor. In this type of system the sensor is normally mounted directly to the engine intake manifold and sealed with some type of o-ring. Vehicles with this type of system usually substitute manifold air pressure for barometric pressure and the scanner data stream may reflect this terminology. In yet another BPS design the sensor is integrated into the mass air flow (MAF) sensor housing. This type of system is relatively effective but makes BPS replacement more expensive since the entire MAF sensor assembly must be replaced if the BPS is defective. 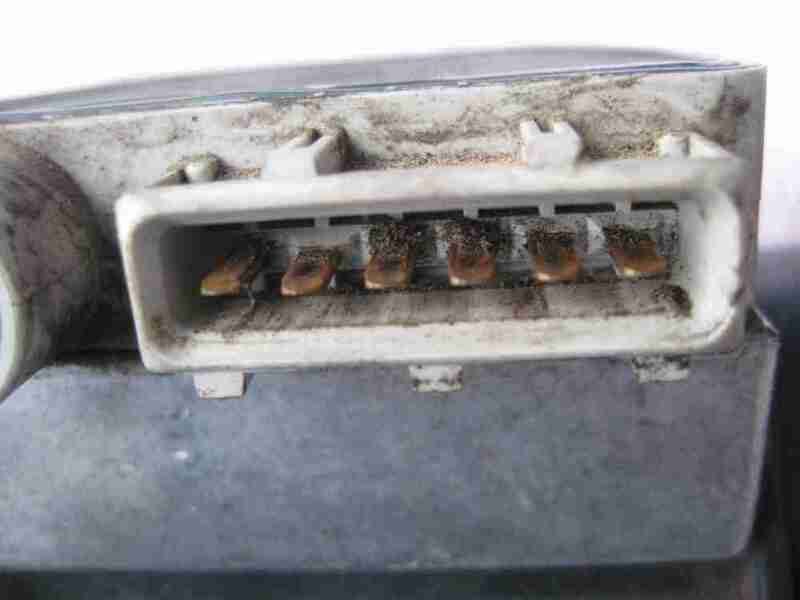 Since a single electrical connector is used in this system, the diagnostic process can be challenging. MAP and BPS are normally listed separately in this type of a system. The PCM typically takes ambient temperature variations into account when calculating altitude. Automotive barometric pressure sensors are very accurate (with a tolerance of approximately one-meter). As a reference, altimeter calculations used in global positioning systems have a resolution of about 20-meters. What are the common causes of code P0129 ? What are the symptoms of code P0129 ? How do you troubleshoot code P0129 ? A diagnostic scanner, a digital volt/ohmmeter, a vacuum gauge, and a vehicle service manual (or online service such as All Data or Mitchell On Demand) will be required to correctly diagnose a P0129. I normally begin my diagnosis with a visual inspection of any system related wiring harnesses and connectors that I can gain access to in a reasonable amount of time. Damaged wiring or corroded connector faces must be repaired before continuing the diagnostic process. 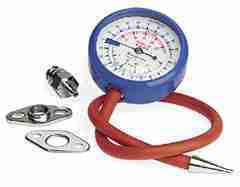 This is a good time to check battery voltage capacity and alternator output. Check battery terminal ends for excessive corrosion. Clean and tighten terminal ends as required. Addressing this issue (now) may save some time if P0129 has been stored due to a low battery voltage or voltage drop condition. Connect the scanner to the diagnostic connector and retrieve all stored codes. Make a note of all codes and freeze frame data as this information may prove useful in the event that you are dealing with an intermittent code. Perform an engine vacuum test to ensure that the engine is making sufficient vacuum. Consult the service manual or information service to obtain specifications that apply to your vehicle. Engines that are not performing efficiently will not produce sufficient vacuum to the BPS or MAP sensor. Engine misfire codes should be diagnosed and repaired before attempting to diagnose this code. 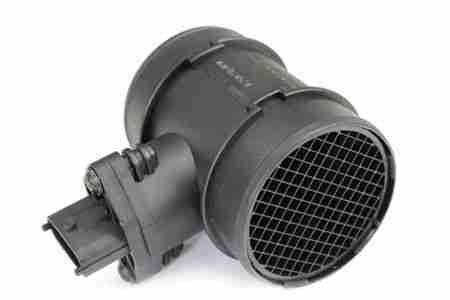 Conditions such as clogged catalytic converters, restricted mufflers, and low fuel pressure may also contribute to a loss of engine vacuum. In my personal experience, barometric pressure sensors that are integrated with the MAF sensor are subject to corrosion at the connector face. These types of systems are also subject to malfunctions caused by an extremely dirty air filter element. In addition to these proclivities, this type of BPS configurations will often require that an auxiliary ground be installed. Consult the service manual or information service for technical service bulletins that apply to the barometric pressure sensor, manifold air pressure sensor, or mass air flow sensor of your vehicle. If all circuits and connectors appear to be in order, continue testing at the MAP/BPS sensor/s. Consult the service manual for exact specifications pertaining to your vehicle. Unplug the electrical connector and check resistance across all circuits, using the DVOM. Replace the sensor if it fails to comply with specifications. If the sensor meets manufacturer’s requirements, begin testing system circuits. Make sure that system reference voltage and ground signals are present. Before testing system circuits with the DVOM, disconnect all related controllers to prevent damage. Repair or replace open or shorted circuits as necessary. If the sensor and all circuits are compliant with manufacturer’s specifications, suspect a defective PCM or a PCM programming error. Consider all manufacturer’s recalls and TSBs before replacement and remember that replacement of system controllers will require reprogramming.